Recently I repinned a pin on Pinterest that intrigued me. 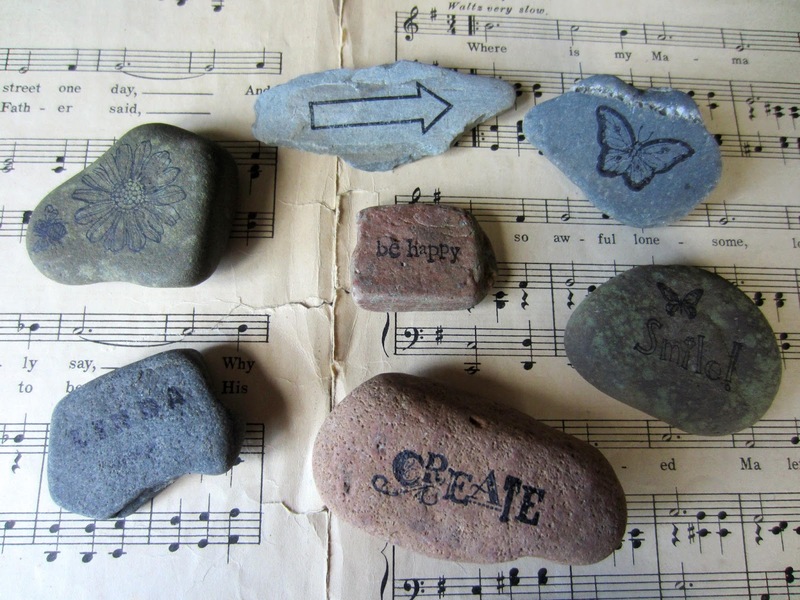 Carissa from Creative Green Living taught us How to Make Stamped Art Rocks here. I know the basic premise of Paper Seedlings is to plant creative PAPER ideas in your brains. But, I thought this would be a really ROCK SOLID project. 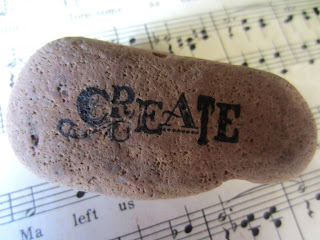 After all, it does involve using Stampin' Up! STAMPS! So we're stamping on rocks instead of paper. I meandered through our landscaping to choose appropriate subjects for my artistic endeavors. 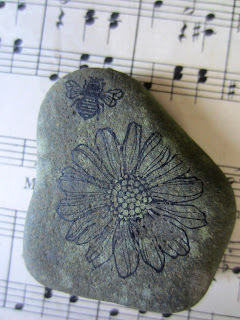 Since Carissa suggests using unmounted (clear) stamps that are able to contour to the shape of the rock, that's how I started too. Even using these malleable stamps, on a few, I had a difficult time getting a completely clear impression. Since it seemed to be sort of a hit or miss proposition (at least, with my arthritic fingers), I decided to give wood mount stamps a try, with equal success. I ended up "wasting" three rocks that I simply tossed back into the landscaping. I don't plan to seal these little treasures since they are no longer residents of the landscaping outside, but will now reside inside the house. Just a little inspiration to run across here and there throughout your day. Only through August 31, new subscribers can join PAPER PUMPKIN for only $10 for each of the first two months! After the introductory two months, the price will go back to the regular price of $19.95. To get this phenomenal deal, go to mypaperpumpkin.com and join. You must click "Add Promo Code" and then enter PUMPKINDEAL in the Promo Code field when you sign up. Remember to name me, Linda Kilsdonk, as your demonstrator. You must join by Saturday, August 31, to qualify for the two months at only $10 each month. I must admit that I took advantage of this special promotion myself, and can't wait to get my first Paper Pumpkin delivered to my house! 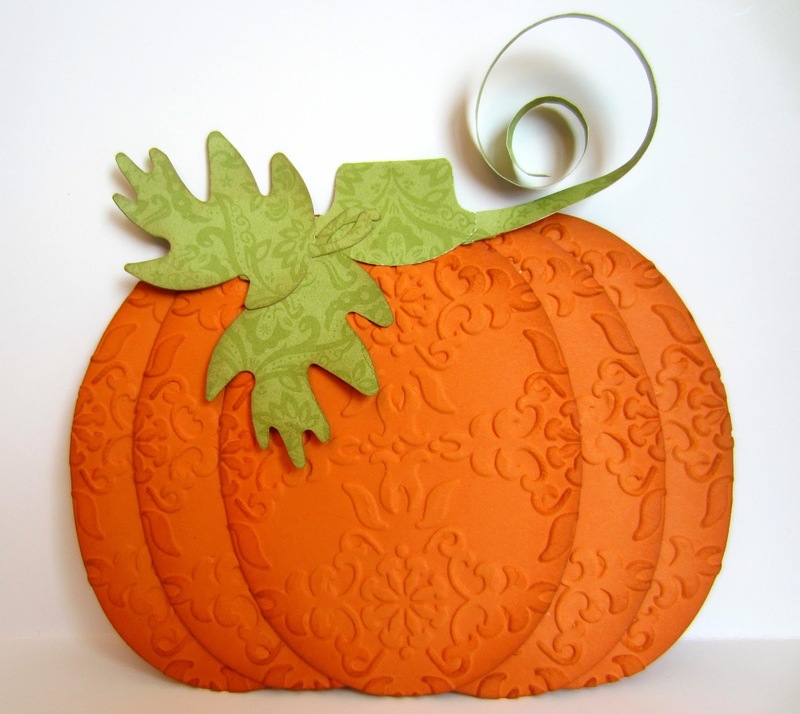 One of my local customers signed up when Paper Pumpkin first started, and she's been bringing her projects and kits to my Stamp-Ins and making us all jealous. Time to treat yourself to a monthly creative getaway! I like your rocks! What a neat idea. I might have to look through your garden next week, hee, hee. These are really cute. The idea seems a little strange to me in my mind, but when I see your creations, I'm sold! You did a great job on these... 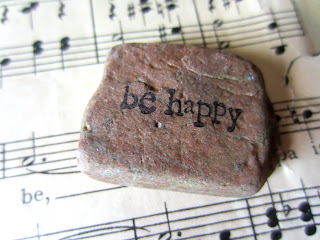 I love the 'Be Happy' rock! These look so beautiful and crafty! I feel like these would make great decors in the summer. PS: Thanks for joining the bloghop! These are adorable. Great job. What a fun idea!! 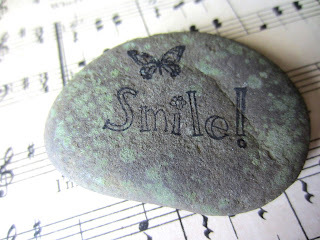 =) Thanks for sharing this at the Pinterest Power Party! Those are really cute rocks. My kid is always picking up rocks, I should show this to her. Such a great idea!! So glad you linked up at Romance on a dime again. Hope to see you this Tuesday! Great little project! 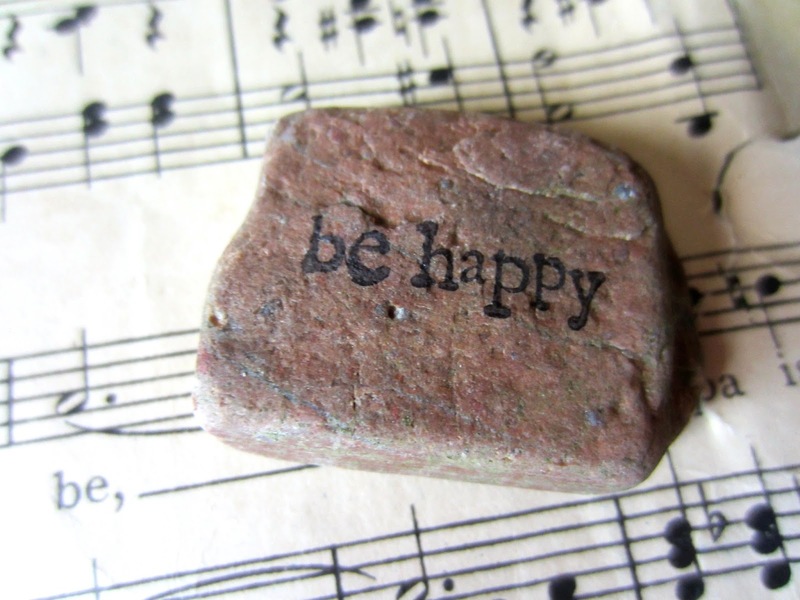 I love the "Be Happy" rock. Thanks for linking up to All Things Thursday. I hope you'll be back to party with us tomorrow night! 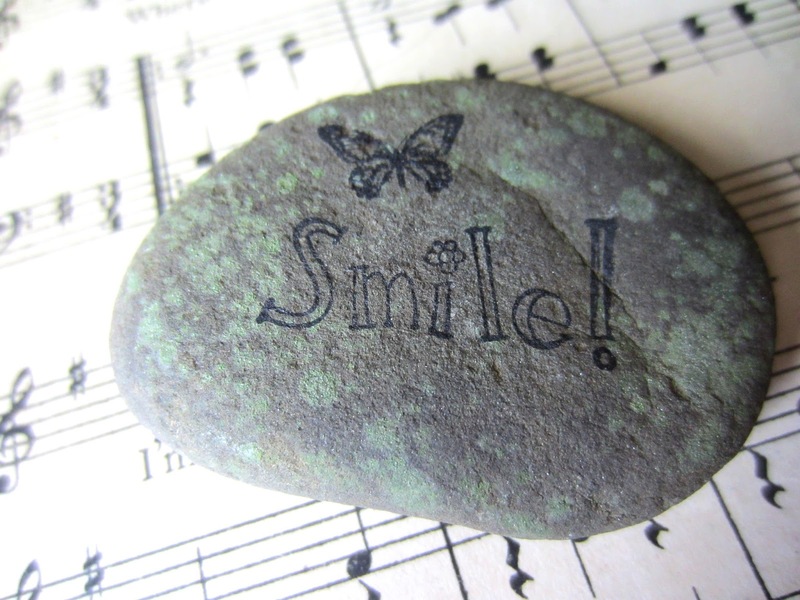 Hi Linda, love your stamped stones! We have been painting ours around the house... Some with healing symbols, some as gold nuggets... Pretty cool. We had fun and I can tell, so did you!! Will try stamps on them this week as we are making our own stamps now... so that offers all sorts of new possibilities, right?! These are so cute! Thanks for linking up on Made in a Day!